Delivery from £21.60 to United Kingdom in 6 - 9 working days. Striving to elevate a humble everyday object, the Ava Hanger is simple yet sophisticated – ex- ploring the possibility that a hanger can be an object of beauty. 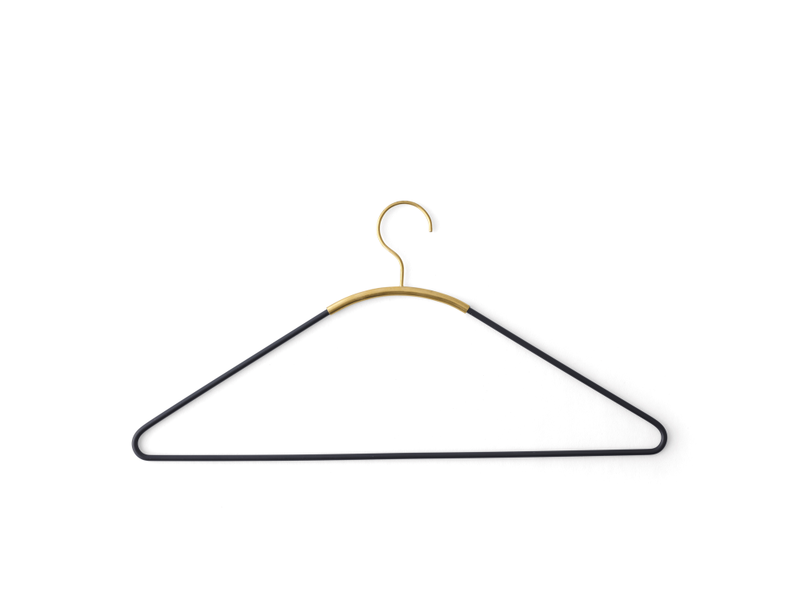 Ava reinterprets the classic triangular hanger by its combination of materials and detail, made from black powder-coat- ed steel, held together by a brass piece.